Poodleism: Hello, Summer! I'm glad you're here. Today is the first official day of Summer and I'm psyched. It's a hot new thing on Town Lake this summer. You can rent these things by the hour. I'm determined to try this and get a hot famous person bod doing it. It was all the workout rage with celebs like Nicole Richie, Kate Hudson, Alessandra Ambrosia, and Jennifer Garner last summer. So, it's about time for me to give it a whirl. I expect to be bad at it. Balance + Upper Body Strength isn't something that seems like it will be a cinch for me to master, but I can't wait to try! 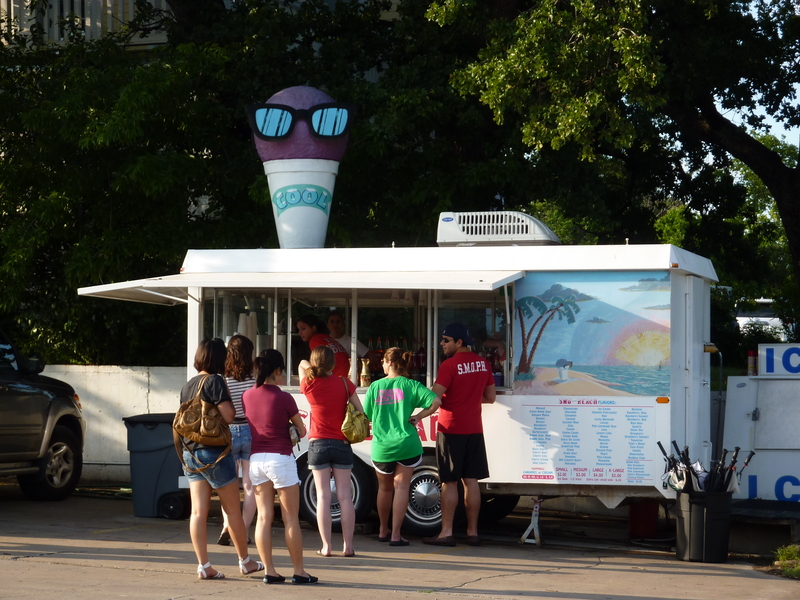 There is a famous (or at least in my book) snow cone stand in Austin called Sno-Beach. I plan to go all the time. The line is usually long, but it's worth it. They make some flavors with Splenda, too! 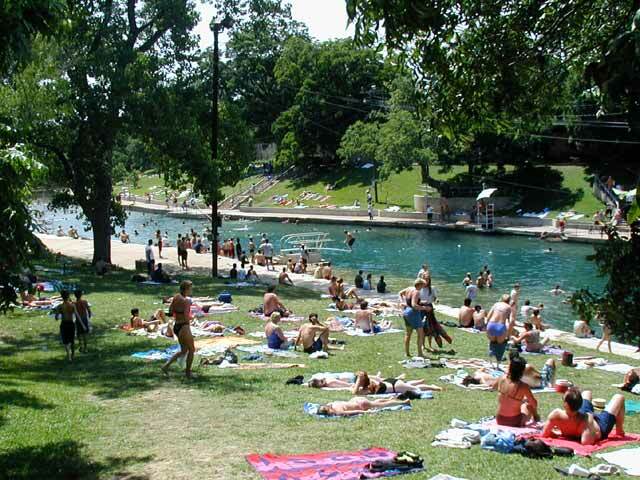 Barton Springs is a sweet place that I haven't been in years. The pool is spring fed, so the water stays super freezing cold all year long. Even if it's 100 degrees outside, the water is shockingly cold, but extremely refreshing. It's a fun place to lay out and people watch. Want to go like right now. One of my fave buddies (same one as the bachelorette this weekend) is getting married at a glam Westin resort in beautiful Beaver Creek, CO in July. I'm excited to escape the Texas heat a big and explore the mountains for a long weekend. I think the weather may be perfect. It should be a super fun trip, and is really my only proper vacation planned right now. Happy, Happy Summer friends! Hope you have exciting things on the horizon! I love Barton Springs!! Sounds like some great summer fun to be had! 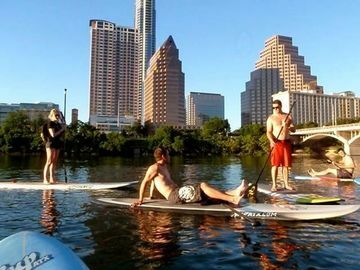 Oh paddleboarding...I totally want to try that! Thanks for stopping by my blog! I have never heard of paddleboarding, but it looks amazing. I am also a huge fan of snowcones. Yay summer!